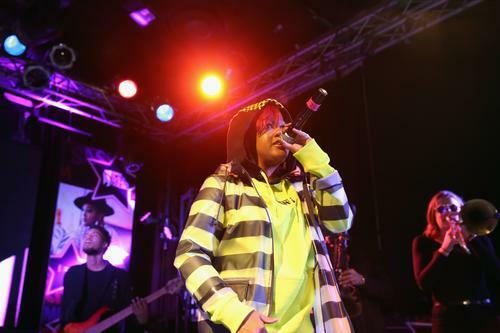 Rapsody Says Erykah Badu's "Mama's Gun" Influenced "Laila's Wisdom"
When talking about one the better outings 2017, Rapsody's Laila's Wisdom will not fail to come up in most circles. Therefore, it's no wonder that the North Carolina emcee managed to land two Grammy nominations this year, including Best Rap Album and and Best Rap Song for the track "Sassy." Ahead the awards ceremony this weekend, Rapsody sat down in a special live interview her Facebook page with Ambrosia For Heads founder Reggie Williams to break down the creation Laila's Wisdom and gifted us with a bit more insight on how the sound we've come to know was crafted, detailing the special way in which she relayed what she wanted to producer 9th Wonder by putting together a playlist tracks that inspired her before Terrace Martin would come in to update everything with a more modern sound. Among the songs on the playlist were what she calls "soulful, storytelling joints" that included cuts from Kendrick Lamar's To Pimp A Butterfly, Jay-Z's The Black Album, The Miseducation Lauryn Hill, tracks from A Tribe Called Quest, and notably Erykah Badu's Mama's Gun. Watch the album in full below and catch Rapsody breaking it down around the 8-minute mark. At the end September, Rapsody - born Marlanna Evans - released her second studio album Laila's Wisdom that has landed her a nomination at this year's Grammy Awards for Best Rap Album, being the only woman to receive a nod in the category. Her album release was the biggest move her mostly quiet 2017 aside from a few #JamRocFriday releases such as "O.L.M.S." and "The Point" featuring Hiatus Kaiyote. In her most recent interview to talk about her success up until now, the 34-year-old humbly chats with legendary Larry King, starting things f on the topic Kendrick Lamar and what makes him such a special artist. "After I worked with Kendrick on To Pimp A Butterfly, it put me on a platform where he introduced me to a lot people that necessarily weren't paying attention," she says. Now that they are both nominated for one the same Grammy Awards, she says it feels good to compete in a healthy way. When Larry asks the "Power" rapper what makes Kendrick special, she replies: "The honesty in his music, he has no fear and he's himself. He doesn't chase anything, but what he sees in the mirror, I think that's what makes him special." RELATED: Rapsody Hits Up A Wild House Party In Her New Video For "Sassy"